A horse is more than just a pet. You can create a bond with your horse especially if you are using him as means of transportation or as part of your agriculture. Hence, it is right to keep them warm during the cold season. Instead of piling blankets for your horse, why not invest in a horse blanket instead? 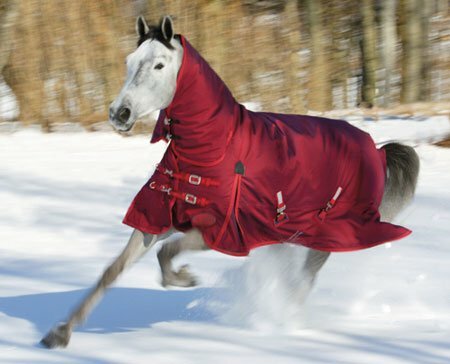 A horse blanket will wrap around your horse’s body to provide proper insulation when the temperature is freezing. Check out the list of top 10 horse blankets we’ve prepared for you. From the thickest to the most stylish blanket, here are the following horse blankets that are most suitable for your loyal companion. First on the list is the Orican freestyle horse blanket from Weatherbeeta. It is made of 1200 denier triple weave outer. With its breathable and waterproof fabric, rest assured that your horse will be comfortable in the stall during the winter. It also has a new snug fit for ultimate neck warmth. The fittings are rust resistant, rest assured that it can last for a long time with proper care and maintenance. The neck attachment is removable, in case your horse loves to chew or destroy things. In its black and gold color, your horse will look stylish yet comfy during the cold season. The material is safe to wash using detergent. It is suitable for medium to large-sized horses. It’s easy to put on and provides optimal comfort for your horse this cold weather. Another product from Weatherbeeta is the freestyle standard horse blanket. It is made of 210D oxford polyester lining comfort cuff provides optimal chest protection. The quick clip front closer and freestyle forward position make it easy to put on your horse. The gusset allows free leg movement of your horse. The shoulder darts help to stop blanket rubs. The low cross surcingle with removable elastic leg straps ensures a comfortable fit for your horse. Similar to their previous products, the material is waterproof with taped seams in keeping the moisture out. The hydrophilic coating on the inside of the fabric helps in drawing out excess sweat to keep your horse dry and comfortable. Its vibrant colors allow increases the visibility of your horse even in the dark, giving you peace of mind during stormy nights. For horse owners who are looking for a non-layering blanket, the Orican freestyle horse blanket is the perfect product for you. 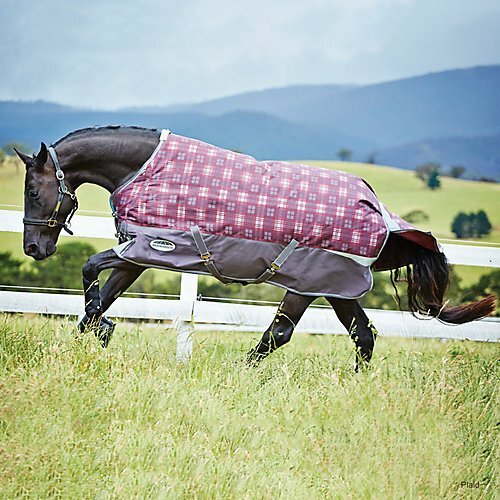 Keep your horse toasty warm during winter with this shire stormcheeta combo blanket. The material is waterproof and breathable, allowing your horse to feel comfortable during winter. Its combo neck is not detachable to ensure full warmth of your horse’s body. The rip-stop outer material can last for a long time with proper use and maintenance. Even if your horse loves to chew and pull things, rest assured that its full nylon lined can withstand your horse. It also has deep shoulder gussets to fit your horse’s body perfectly. It doesn’t cause any slippage or rubbing. The quick clip adjustable breast straps help for those who have cold fingers. Thanks to the 400-gram insulation, rest assured that your horse will feel warm and cozy even during snowy nights. Check out this back on track therapeutic fleece supreme rug for horses. It can benefit all horses, from farm horses, race horses, and even Olympic horses who have a big game the next day. This horse rug is made of state of the art Welltex fabric that can reflect your horse’s natural body heat. Its thermal warmth also helps in increasing the blood circulation in your horse’s body and can soothe aching muscles. It will stay looser and can reduce the inflammation. If your horse is working hard the entire day, it is just right to provide him a therapeutic fleece during the night. This rug can also be used as a liner under your blanket when the temperature drops at night. Its material will never lose its effectiveness even if you use a dryer for this rug. 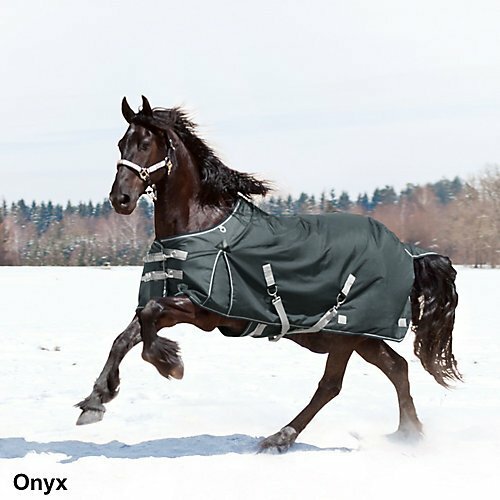 Now your horse will never have to suffer muscle stiffness anymore thanks to this heavy-duty and elegant-looking rug that can keep them warm and comfortable after a tiring day. Check out this horse blanket from Kensington products. It is made of 1680 denier ballistic nylon with the breathable outer shell. The fabric is 100% breathable. The manufacturer’s very own surfeits design with detachable belly band allows you to put on the blanket to your horse without difficulty. Cool plus lining wicks the moisture away from your horse. The 80-gram hollow fiberfill helps in providing optimal warmth and loftiness. This horse blanket has removable criss-cross belly straps and rear leg straps. It also features an adjustable front buckle with snaps for easy on and off. Now your horse will stay warm and comfortable during winter. Its material also keeps the moisture away and keeps your horse dry at all times. This is ideal protection for horses who sleep in the stall during winter. Get your horse and dog a matching blanket this winter from Horseware Ireland. Rest assured that it can provide the optimal warmth with its 1000 denier ballistic nylon with the outer shell. The material is fully waterproof and breathable with aquatrans coating technology that can withstand even the heavy snow. Its nylon anti-bacterial lining also helps in keeping your horse clean and free from infection. There are two surcingles with stainless steel hardware and a classic original neck cut with straight front closure for your horse’s optimal comfort. You can wash the blanket by machine or by hand in case it gets too dirty. Its thick fabric will protect your horse from freezing during the winter while making sure that his mobility is not limited. We also liked its bright color that will allow you to spot your horse from a distance. You might want to take a look at the Rambo rug turnout horse blanket. This chocolate-colored rug is made of 100D ballistic nylon. It has a high neck allows optimal mobility and comfort for your horse. This horse blanket is specially designed for big horses. Thanks to its modular design, it will enable your horse to stay comfortable and warm during winter season. The fabric is safe to wash. This horse blanket can withstand horses who love to chew on things. With proper care and maintenance, it can last for a long time. 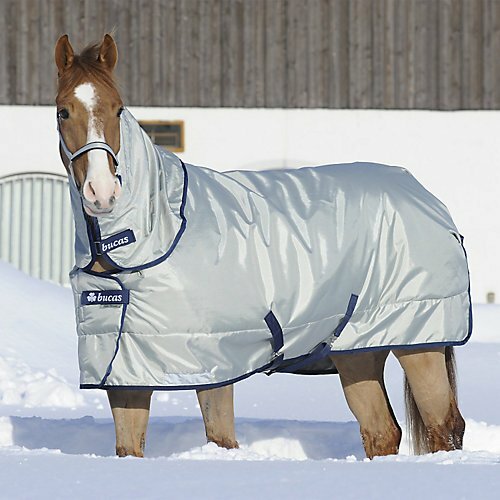 Make sure that your horse isn’t freezing this winter by using this horse blanket. Easy to use, wash, and requires little to no maintenance, this is an ergonomic choice for horse owners who want to keep their horses dry without burning a hole in their pockets. The Amigo horse blanket is made of 1200D polyester. Its fabric is waterproof and breathable, providing maximum comfort and mobility for your horse. It features patented front leg arches, and the hood is removable. The nylon lined fabric ensures you that it can last for a long time with proper care and maintenance. Keeping your horse well-covered without breaking the bank is made possible by this horse blanket. This rug is not only stylish but also function for the winter season. It has all the features that your horse will need to stay dry and warm when it snows. 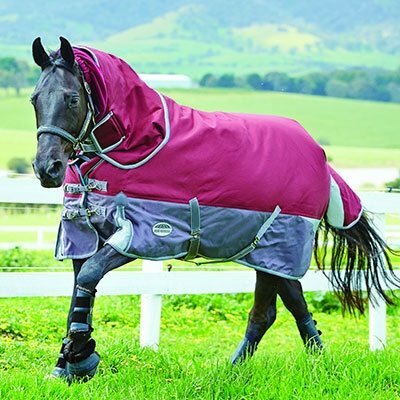 Keep your horse elegant looking this winter with the Bucas extra power turnout blanket. It is made of a ballistic nylon outer for ultimate strength and comfort. The fabric is both breathable and waterproof, ensuring that your horse will not get uncomfortable while using the product. The heat-reflective aluminum coating keeps your horse toasty warm during the winter. It also has an anti-bacterial and stay-dry lining to keep your horse dry and clean. This heavy-duty rug is perfect for horses who love to chew and destroy things. Rest assured that it can provide years of comfort for your horse in years to come. It fits well in any size of a horse and its thick fabric are easy to clean. You can use a washing machine and a dryer in doing so. 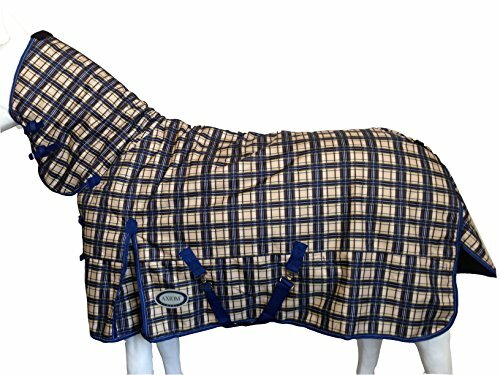 For a unique-looking horse blanket, allow us to present the Axiom blanket in tartan yellow and navy blue design. This super tough rug is made of 1800 denier ballistic nylon outer with neck cover. It is 100% waterproof, and the material is fully breathable. Its fully satin lining can withstand horses who love to chew on things. 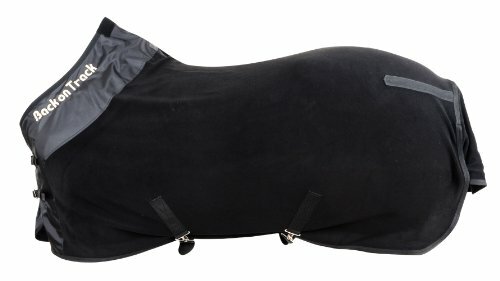 The 300-gram fiberfill heavyweight horse blanket has twin chest straps, twin neck straps, double cross over surcingles, and shoulder gussets. It also features a removable leg strap with solid clips, reflective strips for added safety, and a large tent tail flap. In that way, your horse will stay warm all over the body. Its exceptional durability can assure you that this product will last a long time with proper care and maintenance. Your horse needs protection during winter seasons. The cold can penetrate through their coat and if neglected, can affect the performance of your horse when working. Therefore, a quality horse blanket is an essential investment for every horse owner. In this article, we are going to help you choose the best horse blanket for your horse and present the top-selling blankets in the market today. Let’s first start with getting to know the different types of horse blankets. Horse Sheet – if winter in your area is not that harsh, you should consider buying a lightweight blanket such as horse sheets. These horse blankets are designed to be lightweight and provide little warmth to your horse when it’s cold season. 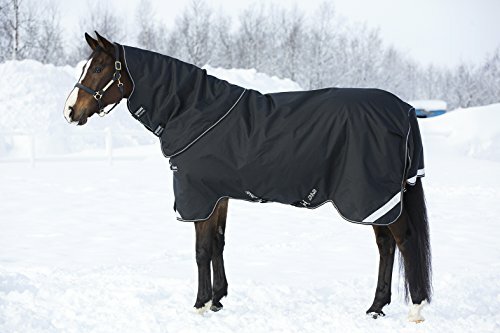 Sometimes, horse owners also use this type of horse blanket to prevent the coat from fading under the heat of the sun or to keep the dust from building up in your horse’s coat. However, remember that since it is fragile and lightweight, it is prone to tearing and ripping if not handled with care. Turnout Blankets – this blanket, on the other hand, is designed to provide optimal protection to your house against the harsh elements of nature. If you are keeping your horse in a pasture, it is best to invest in a turnout blanket. It is made of heavy-duty materials that can keep the cold and water out of contact of your horse’s coat. 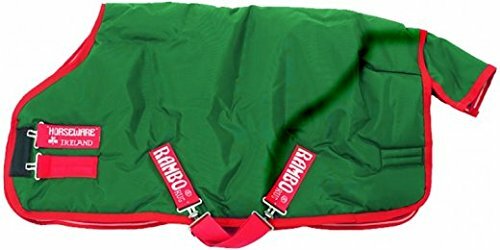 Stable Blankets – as what the name implies, this is ideal for horses that are being kept in a barn or a stable. It gives enough warmth to the horse inside the barn when the weather is freezing. However, keep in mind that most stable blankets are not made of waterproof materials. Therefore, the water can penetrate your horse when left outside the barn. 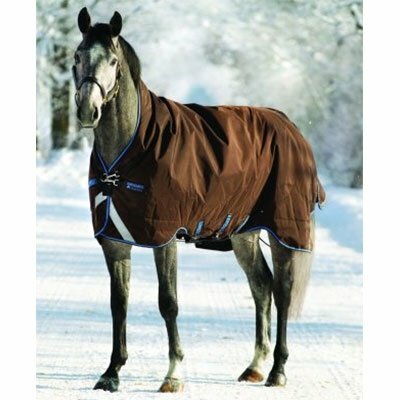 Therapeutic Blanket – for a horse that works seven days a week, this is the ideal blanket for them. These types of blankets are different among the rest because it is made of nano-fabric. This type of fabric can soothe and relax the sore muscles of your horse. But keep in mind that this blanket can be the most expensive compared to other types of horse blankets. Fabric – You might want to check the fabric of the blanket before investing. Typical horse blankets are made of nylon. It can resist stains and are built to last for a long time. Polyester, on the other hand, can be observed in most lightweight blankets. Albeit it’s not as strong as the nylon blanket, it is less expensive and ideal for customers on a budget. Fit – Getting your horse’s exact measurement is important before you shop for blankets to buy. When measuring your horse, start from the middle of the chest to the shoulders, going around the shoulders, and into the barrel, going to the tip and the tail of your horse. Getting the correct size for your horse’s fit can affect the comfortability of the horse blanket. Style – You should also consider the form of the blanket that will match your horse’s lifestyle. Some horse blankets have open fronts, and some have closed fronts. Open-front horse blankets will allow your horse to move without difficulty. On the other hand, closed-front blankets will limit the mobility of your horse but provide extreme comfort and warmth during the cold season. Weight – The type of horse blanket that you’re planning to invest will determine the weight. For instance, if you’re planning to buy therapeutic sheets, you can expect that it would be heavy. Stable blankets, on the other hand, are lightweight and easy to carry. However, you might want to keep in mind that the heavier the blanket, the more warmth it could offer to your horse. Not to mention that it will not easily rip and tear, no matter how active your horse is. Manufacturer’s reputation – Horse blankets are only used during winter. Therefore, make sure that you are investing in a reputable company. These manufacturers live up to their reputation and ensure to give the finest quality of blankets to their customers.